2016 has been an eventful year for the world at a political and macroeconomic level. The entire research and education community has witnessed these events with some concern about their potential impact on international science collaborations and partnerships. Undoubtedly, the outcome of last year’s UK Referendum indicated the fragility of our environment and raised our awareness to care more about what we want to preserve and further develop. To ensure certainty on how to continue our collaborations has now become an even more important part of our mission; together GÉANT and its members remain committed to supporting global science across all borders. The EU is keen for Europe to become more competitive in innovation and in the commercialisation of new technologies. The close collaboration in our community should inspire all sectors of society across borders to embrace the digitisation of industry and public/private services. In return, by enabling open science platforms for big data and individual content for life-long learning, digitisation will boost research and education globally. To be the best and most advanced in their fields, European researchers, educators and students need access to the most advanced information and communications technology. We, GÉANT and its members, must continuously innovate our infrastructure service offerings and remain well ahead of commodity solutions. With that ambition we will significantly contribute to the success of new European initiatives introduced in 2016, like the European Data Infrastructure (EDI) and the European Open Science Cloud (EOSC) by delivering services and support to, and ensuring adoption by, the research and education community in Europe and around the world. The 2016 GÉANT annual report illustrates, through selected highlights, how GÉANT’s perseverance and commitment towards fostering the European and global research and education community manifested themselves not only through the consistent support to multiple projects and initiatives, but also through the joint development of innovative services and solutions. One year ago I announced GÉANT’s new high-level strategic objectives and the importance to focus on Community and We Goals as opposed to Organisational and Me Goals. This approach has enabled us to start providing more targeted services to NRENs and further uplift the unique community without which we would not exist. In 2016, with these community-oriented goals in mind, GÉANT underwent a substantial restructure in order to build a highly efficient and effective organisation committed to delivering a world class user experience and exceptional value for money to best support the NREN partner community. We are at a significant crossroads for Research & Education (R&E), brought about by the unavoidable effects of globalisation on the supply and demand of R&E services: research collaborations are becoming increasingly global in their reach, the allocation of funds is becoming more and more performance-based, security threats have started multiplying and reaching us from anywhere whilst governments have started exercising an increasing level of pressure to demonstrate tangible economic benefits. As a result, R&E business models are being reassessed, driven through an innovative process by the advances in technology and the increasing need for economies of scale, the growing importance of open science and the rise of completely new business models in higher education. In this changing panorama, NRENs will want to evolve to remain relevant, with all innovation initiatives requiring a clear purpose. NRENs may find themselves increasingly under pressure to differentiate and deliver unique value; they may decide to deliver more specialised services and add new skills to their evolving organisational structures whilst international collaboration will continue to increase in importance. We are living in an era of revolution; this is very visible everywhere in society, politics, and economy. Everything is being re-imagined and re-invented because of technology. GÉANT can be one of the positive forces of this revolution, as an enabler, a driver and a hub of solutions for the technological transformation of the R&E world. Things are changing fast and we need to be agile and nimble in order to be able to react quickly. I believe we have all it takes to lead this revolution and the courage to seize the opportunity that lies before us. In 2016, GÉANT successfully delivered another phase of the GÉANT project, as well as a NREN survey and effective procurement to maintain its commitment to delivering value and serving the NREN community. In November 2016, key staff from the GÉANT Project attended the GN4 Phase 1 (GN4-1) project EC Review, presenting GN4-1’s wide range of work and outcomes to a panel of EC reviewers. For the fifth consecutive year, the project achieved the highest possible rating, which is extremely rare for such a large project. This particular review covered the duration of GN4-1: 1st May 2015 to 31st August 2016, focusing on the key areas of network evolution and cost-optimisation, service development and delivery, and working with NRENs, industry, e-infrastructures and end-users. The overall objective of GÉANT in GN4-1 was to provide a stable, though innovative environment for growth providing the best possible digital infrastructure to ensure that Europe remains at the forefront of research. Core IP traffic increased during the course of the project by almost 50%, which, when combined with dedicated services for larger users, resulted in total traffic volume of nearly 1.1 exabytes for the project and 1.6 exabytes for all of 2016. For example, it would take more than 5200 years to stream equivalent data in 4K UHD, the highest possible video quality. 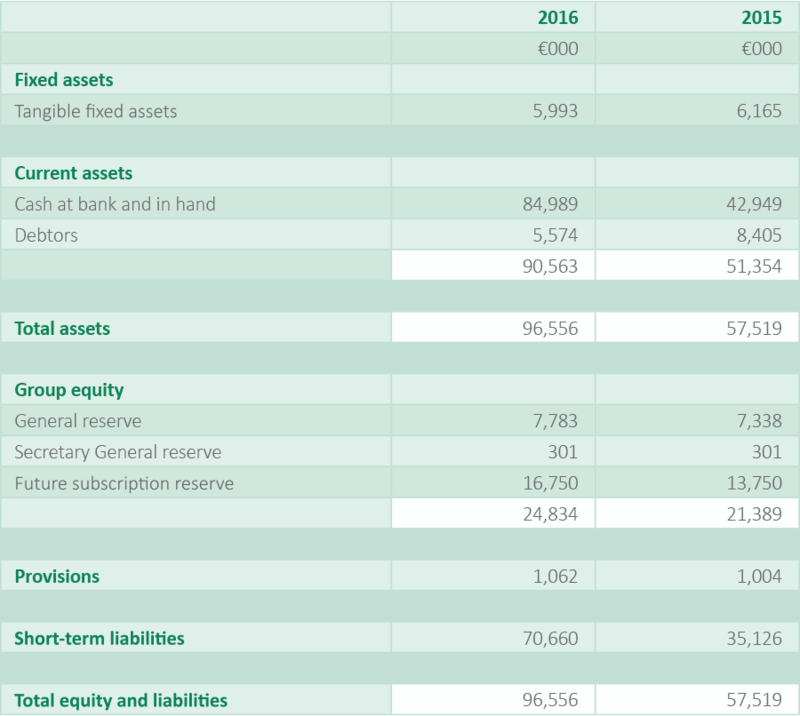 Nevertheless, the operational excellence of established GÉANT services was maintained, and significant economies on the costs of the backbone network were achieved, leading to a €3.2M saving. This demonstrates an efficient, high-performance network that is provisioned to respond to both present and future demands of researchers. In GN4-1, GÉANT services were developed in line with user requirements before being transitioned to fully supported production services within a portfolio covering networking, trust and identity, mobility, security and clouds. Significant progress was achieved, particularly in cost optimisation of network services, growing use of trust and identity services, and development of cloud services. Breakthrough agreements were negotiated as part of the GÉANT Service Catalogue, with Amazon Web Services, waiving data traffic charges for R&E users, and with Microsoft, to directly connect cloud services to GÉANT via dedicated private ExpressRoute network connections. The use of key services such as eduroam and eduGAIN also grew significantly: eduGAIN reached 38 of a possible 43 federations, and eduroam grew by over 45%. In 2016, GÉANT ran an extensive competitive public procurement during the project, involving the replacement of 16 NRENs’ leased circuits covering Poland, the Baltics, the Balkans and South Eastern Mediterranean (including Cyprus, Israel and Turkey). Nine of these are NREN access circuits connecting NRENs in Turkey, Cyprus, Israel, FYR Macedonia, Montenegro and Serbia to the GÉANT network, and the remaining seven are trunk circuits connecting GÉANT PoPs in Estonia, Latvia, Lithuania, Poland, Germany, Austria, Italy and Greece. Many of the routes required capacity upgrades from 10Gbps to 100Gbps. The forecast annual savings from the replacement of existing circuits for new was approximately €900k. Six circuits are being awarded to incumbents and three new suppliers have won contracts (RETN, Telekom Serbia and Trans Balkan). Overall, the average annual cost of the replacement circuits is about 50% of the current costs, while the aggregate capacity of the new circuits has doubled. Circuit work started at the end of 2016, and the large majority of the work will be undertaken in 2017. Due to the phased delivery of circuits and the parallel running with existing circuits to enable a seamless migration, it is forecast that €250k of cost savings will be realised in 2017. Our ongoing aim is to strengthen the long-term trust and satisfaction of NRENs, users and communities through the GÉANT network and services. Continuous improvement is essential to keep pace with innovation and is made possible by listening and responding to the needs of our NREN partners. 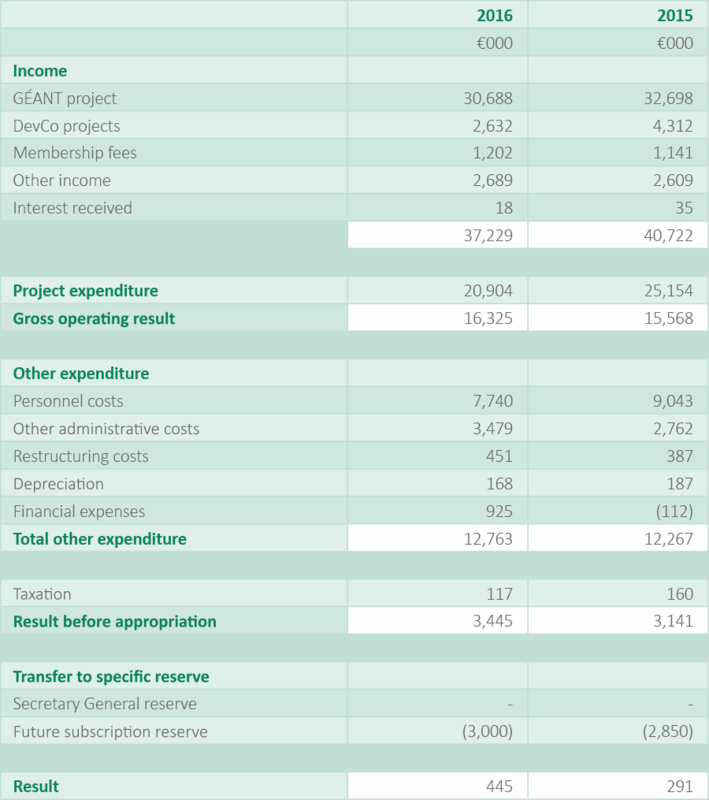 The consistent conversation with NRENs, supported by a regular annual survey, not only ensures more reliable feedback and information exchange around a multitude of activities, it also increases transparency and demonstrates GÉANT Project’s value for money. The NREN Satisfaction Survey was carried out in February 2016 as the first “joint” survey merging the DANTE NREN Satisfaction Survey and TERENA Member Survey. Key objectives of the survey were to assess the general satisfaction across all working areas, to better understand the community, and to identify areas in need of further efforts. The survey was distributed in February 2016 to 39 GÉANT NRENs. Participants were given four weeks to respond. In total, 49 completed responses were received from 33 different NRENs. In conclusion, response to 2016 survey reflects the need for a clear service portfolio, including more ‘above the net’ services, further middleware service improvement, increased network security and knowledge about security products within the community. In 2016, GÉANT distinguished itself through the successful development of Software Defined Networking capabilities, the effective integration of novel security programmes and the achievements of eduGAIN and eduroam. Trust and identity and the underlying federated approach have become a key area for GÉANT community. During 2016, activities in the development of this important area included the provision of special support to federation operators for the alignment of processes and the identification of common best practices in order to facilitate inter-federation. The development of further tools and platforms for the support of the eScience collaboration. eduGAIN members increased to 46. The launch of Security Incident Response Trust Framework for Federated Identity (Sirtfi), the framework for handling security incidents among federations. The publication of the AARC blueprint architecture. eduroam expansion reaching 85 countries, including 6 African countries. The AARC project champions federated access to enable access to eScience, e-infrastructures and library resources. 2016 saw the publication of the AARC blueprint architecture – a set of best practices and appropriate training material to help research collaborations to build interoperable authentication and authorisation infrastructures. In 2016 the project also organised different training activities aimed at service providers in the biomedical, arts and humanities fields and delivered new training modules for libraries and service providers. eduGAIN interconnects identity federations around the world, simplifying access to content, services and resources for the global research and education community; it also enables the trustworthy exchange of information related to identity, authentication and authorisation (AAI).​ ​ In 2016, new important features were integrated in this unique service which also saw its members grow to 46. REFEDS articulates the voice of research and education identity federations and is funded via community contributions; currently it comprises 13 sponsoring organisations with an annual budget of about €75k. The budget is used to organise the yearly meetings and to support the execution of the yearly work plan. REFEDS has now become a trusted forum acknowledged by the international R&E sector. 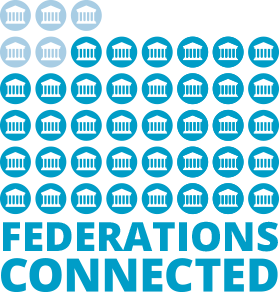 In 2016 REFEDS ran two community consultations to finalise the Research and Scholarship Entity Category – aimed to simplify the attribute release issue – and Sirtfi – the framework to handle security incidents among federations – an impressive joint effort between AARC and REFEDS. 2016 was another year of growth and expansion for eduroam with a 23% increase in international authentications. In total, the eduroam system recorded over 2.6 billion national authentications and more than 592 million international authentications. Providing free and secure WiFi access at any participating location to millions of students, researchers and academic staff around the world, eduroam is continuing to go from strength-to-strength and continues to expand, reaching now 85 countries – including 6 African countries. Several international organisations have started to explore the potential of replicating this service more broadly. The GÉANT network had previously incorporated capabilities to separate the control/management plane and data plane in its network, but both the hardware and software were supplied by the same vendor. For instance, Juniper hardware is managed by JUNOS Space, and Infinera hardware is managed by Infinera DNA. As a result, GÉANT had become more dependent on the vendor’s innovation curve for new features in both hardware and software. GEANT also identified the need to work towards a multi-domain generic control plane, i.e. Network Service Interface (NSI) and the Bandwidth on Demand (BoD) service (although this is an Ethernet service provisioning protocol rather than a full control plane). In 2016, GÉANT continued its hardware and software disaggregation, in order to meet the objective of becoming completely vendor agnostic. In particular, a collaboration with hardware vendors such as Corsa delivered the first version of hardware with virtualisation capabilities. In parallel, work continued on the development of GÉANT’s own SDN operating environment. In 2016, the ONOS (Open Network Operating System) was modified to support key GÉANT network services delivered using Corsa and Infinera equipment. GÉANT will continue to work on the separation of hardware and software with the objective to innovate independently. In addition, the further disaggregation (modularisation) of functions within software and hardware will enable GÉANT to buy only the modules that fit specific requirements and achieve a more complete autonomy from vendors. With a rising number of cyber-attacks around the world seeking to disrupt services and organisational activities, GÉANT has implemented a Network Security Handling and Response Process (NSHaRP) to ensure NRENs are protected from various network attacks. GÉANT also appointed a Computer Emergency Response Team (CERT), with the objective to secure the logical and physical infrastructure of the GÉANT network, respond to network security incidents and mitigate breaches, weaknesses and risks. In 2016, GÉANT successfully integrated a programme entitled Firewall on (FoD) in NSHaRP, to enable NRENs to react against pandemic and endemic security incidents. A new risk management process was also launched, to evaluate internal and external aspects affecting security operations and business processes. CERT also started working with legal advisors in order to gain a better understanding of its responsibilities regarding new legislation, specifically that affecting the retention of network data and information. GÉANT CERT also attended courses and workshops to update its knowledge on new techniques and various security projects that will kick off during 2017, to reduce the exposure of the NRENs’ attack surface. In line with its third strategic objective, in 2016 GÉANT carried out with success a pan-European tender for Infrastructure-as-a-Service (IaaS) offerings, published the first AARC project blueprint architecture and utilised alien waves for the first time. In 2016, as part of the GN4-1 project, GÉANT carried out a joint pan-European tender for Infrastructure-as-a-Service (IaaS) offerings. These included virtualised computing resources, such as data processing, and the ability to run virtual machines, over the Internet. The procurement consisted of a collective invitation from 36 NRENs to IaaS providers to bid for the supply of their solutions to Research and Education organisations across Europe, establishing a single digital market of approximately 10.000 institutions eligible to use such services. Out of the 100 who registered their interest in the tender, 23 suppliers qualified for inclusion in the GÉANT Service Catalogue. The GÉANT cloud tender created an efficient supply-chain by bridging the supply and demand side, as institutions were able to buy directly from the selected suppliers, without the need for complex and time-consuming tenders and contract procedures. Contracts are compliant with EU privacy and data security regulations. 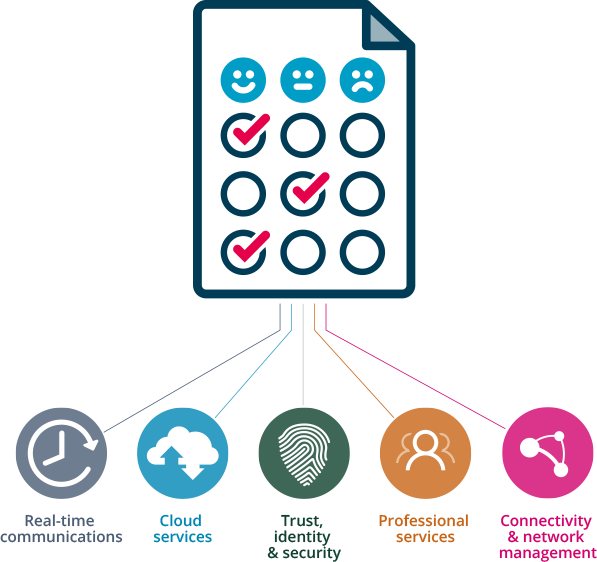 Suppliers’ offerings provide single sign-on via the community’s identity management capabilities. Services are connected to the high-performance NRENs and GÉANT data networks, significantly reducing network traffic costs. A group of (initially) 10 EU agencies used GÉANT’s input for a cloud services tender. The EU agencies adopted the GÉANT guidelines for security and the recommended purchasing model and included GÉANT connectivity as a beneficial requirement, giving additional points in the tender evaluation. EUMETSAT is the European Organisation for the Exploitation of Meteorological Satellites. The EUMETCast terrestrial project was launched in 2014 with the provisioning of a network multicast service connecting up to 34 sites in 31 European countries and EUMETSAT bilateral partners world-wide together with centrally-coordinated monitoring and operations. GÉANT acts as the Single Point of Contact and coordinator of all the NRENs involved. 2016 saw the increase in transatlantic connectivity to Internet2 in the US with dedicated links for data transfer and, jointly with the Spanish NREN RedIRIS, a connectivity upgrade to the EUMETSAT site in Madrid was also made possible. Launched in 2015, the two-year AARC project champions federated access to enable access to eScience, e-infrastructures and library resources. 2016 saw the publication of the AARC blueprint architecture – a set of best practices and appropriate training material to help research collaborations to build interoperable authentication and authorisation infrastructures. In 2016 the project also organised different training activities aimed at service providers in the biomedical, arts and humanities fields and delivered new training modules for libraries and service providers. 2016 provided a tangible example of the way in which GÉANT has delivered value to its community is the utilisation of alien waves. The R&E community had been utilising two parallel fibres between Amsterdam and Hamburg for some time, but the duplication of infrastructure, by diluting its utilisation, was not very cost effective. A solution to this was the utilisation of alien waves which enables the fibre to be shared by GÉANT and its neighbouring NRENs: SURFnet (the Netherlands’ NREN) and NORDUnet (representing NRENs of the five Nordic countries). The Amsterdam-Hamburg alien wave is saving money for the community by increasing utilisation on shared fibre. 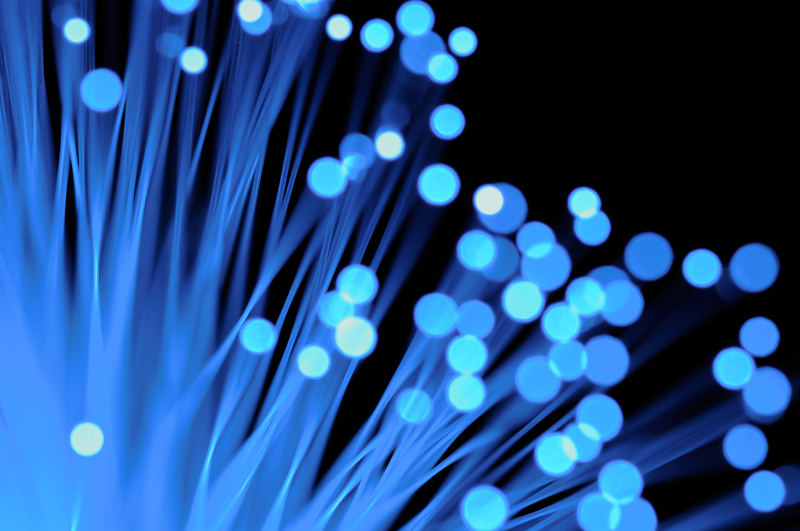 GÉANT’s fixed fibre costs have been reduced by 2/3 compared to GÉANT only fibre. The performance of alien waves is a suitable engineering solution for GÉANT production operation. Plans are already being made to increase alien waves in the future GÉANT network. In 2016, GÉANT supported community expansion via events such as TNC16, DI4R, through the established international collaborations, plus new learning and development initiatives. TNC16, the 2016 networking conference, broke the attendance record of previous years with 719 participants from more than 60 countries. TNC16’s theme was ‘Building the Internet of People’, the event was hosted in Prague, Czech Republic from 12-16 June by CESNET, which also celebrated its twentieth anniversary. Internet pioneer Kees Neggers and GÉANT CEO Steve Cotter started the conference by marking the 30 year anniversary of formal collaboration between national research and education network organisations (NRENs) in Europe. In recognition of significant contributions over many years, GÉANT presented community awards to John Dyer, Scott Cantor and Stanislav Šima. All information, including the full conference schedule, presentations and archived session video streams can be found on the TNC16 website. In 2016, GÉANT established a new and more integrated approach to supporting and working with other e-infrastructures partners (primarily EGI, EUDAT, PRACE, OpenAIRE, RDA), with a clear focus on identification and implementation of additional collaboration activities, including progression towards a joint e-infrastructure service portfolio. On 29-30 September, Europe’s e-infrastructures joined forces to host the first Digital Infrastructures for Research Event, DI4R. Hosted by Krakow’s Academic Computer Centre, the event was designed with research communities in mind and aimed to foster broader adoption of digital infrastructure services and promote user-driven innovation. The conference formed a catalyst for further and deeper collaboration between the e-infrastructure projects. As a result, joint marketing of e-infrastructure activities will continue, as well as forthcoming collaboration across a number of projects including eInfraCentral and the European Open Science Cloud pilot project. Research and scientific collaborations are an ongoing global activity. To tackle the challenges that humanity faces this century, scientists around the world need to work together and have access to research data generated at a global level. For many years now, GÉANT has been working tirelessly at extending R&E capacity into the emerging regions of the world, through the establishment of NRENs and regional partners. In 2016, we were proud to see Lebanon, Belarus, Armenia, Georgia, Azerbaijan, Kirgizstan and Tajikistan join the growing global community of R&E organisations connected to the GÉANT network. We have also witnessed substantial capacity increases in our partner networks in East, Southern and North Africa. West and Central Africa is one of the few regions in the world where R&E network infrastructures do not yet exist and only very few NRENs have been set up to operate at a national level. With the support of local governments, GÉANT has teamed up with the TANDEM project to raise awareness within the user base in West and Central Africa of the importance of a thriving R&E networking community that delivers affordable capacity to its scientists and educators. Through this work and the determination of our partner WACREN, new NREN initiatives were generated in Chad, Sierra Leone and Guinea. 2016 also saw the start of the NEAAR project, enabling deeper levels of collaboration between scientists in the USA, Africa and Europe through increased transatlantic capacity. In line with GÉANT’s goal to ensure that scientists and educators around the globe have a consistent user experience, we have been working closely with the MAGIC project to ensure the expansion of eduroam and identity infrastructures within our partner organisations world-wide. The In The Field blog continues to showcase the impact of the activities of R&E networks around the globe, featuring stories on how connectivity is utilised to tackle real global challenges and make a real difference to society. Developed as an initiative of the Global PR Network in partnership between GÉANT and AARNet, the blog is a truly collaborative effort from and for the international R&E networking community and, at the end of 2016, featured 128 stories from 65 partners from all over the world. Our networking infrastructure traverses the globe, enabling access to content and resources, connecting people, delivering new experience, fostering collaboration and cultivating interdisciplinary communities striving to make a difference. This blog embodies that very spirit, bringing the R&E network community together in a global collaboration with users and beneficiaries to showcase and share some of our most inspiring stories and achievements. The mission of the Learning and Development (L&D) team is to support GÉANT’s excellence by planning and executing activities that enable discovery, development and growth of GÉANT’s staff and the community. The L&D team achieved several important milestones in 2016. The team delivered the first cyber security training event, which was designed and executed for a group of non-NREN representatives. This allowed for the creation of dedicated funds to further develop and strengthen a portfolio of specifically designed programmes in the field of cyber security. The team also achieved the objective to streamline the process of gathering and addressing employees’ needs with the delivery of a seamless solution that enables members of staff to take control of their own growth and fulfil their professional aspirations. Additionally, following the DANTE/TERENA merger, the Learning and Development function made it its priority to contribute towards the development of one common culture for GÉANT. Inspired by the spirit of the 2016 Rio Olympics, the team designed and executed a virtual sporting challenge that engaged staff from both Amsterdam and Cambridge offices. The challenge created team-building opportunities, which resulted in increased camaraderie and closeness among GÉANT’s employees. In 2016, GÉANT supported ten Task Force and SIG meetings with a total of 508 participants. The largest meetings continue to be those of Computer Security Incident Response Teams (TF-CSIRT), which regularly attract 150+ attendees with a large amount of participation from government, military and commercial CSIRTs alongside NREN partners. This wide-scale representation is essential for effective incident response, as attackers have no notion of sector or jurisdiction. TF-CSIRT is now part of a broader security initiative within the GÉANT Community Programme; this growing focus on security is in direct response to the requirements of the community. GÉANT has signed a Memorandum of Understanding (MoU) with Netherlands-based foundation NLnet, and the technology foundation Commons Conservancy, as part of the work of the Greenhouse SIG. The Commons Conservancy provides a lightweight organisational structure for open projects and helps to meet the sustainability and growth needs of many of the open source software developments in the NREN community and a community project (FileSender) was the first to register with the Commons Conservancy. The Greenhouse SIG is also working to review and advise NRENs on existing Open Source Software dependencies within the community and on developing effective strategies for software development.